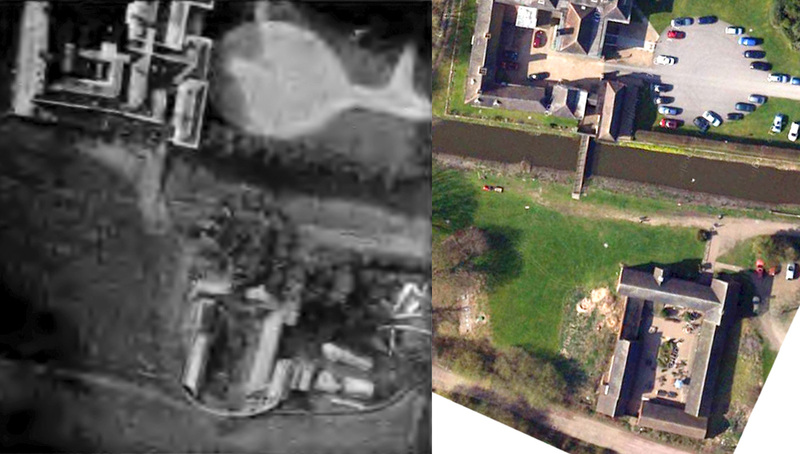 Middleton Hall, nr Tamworth, The original photo to the left and Google Satellite on the right. To read about the update to the Middleton Hall story ..........here. Just before Cody there was another military visionary in the UK, a certain Capt B.F.S. Baden-Powell, brother of Lord Robert Baden-Powell, founder of the Scout movement. 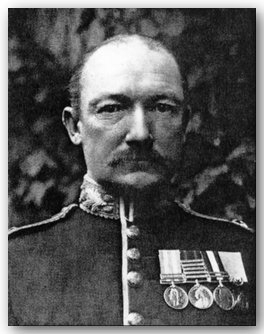 Serving in the Scots Guards and according to his obituary in Flight Magazine, BFS Baden-Powell was at the Battle of Magersfontein 1899, where balloons were used for the first time in action for reconnaisance. Sadly for Lord Methuen it was still a defeat for the British. He wrote many articles on kites and patented a "man lifting system", as early as 1895 called the "Levitor". Like his brother he actively encouraged the younger generation to take part in activities and was frequently seen on Wimbledon Common overseeing kite flying competitions. In Douglas Archibald's book, The Story of the Earth's Atmosphere printed in 1897, Capt B.F.S. Baden Powell is credited as taking a picture of Middleton Hall, Tamworth, Staffordshire, using a kite from about 400'. He became President of the Royal Aeronautical Society, 1902-09. 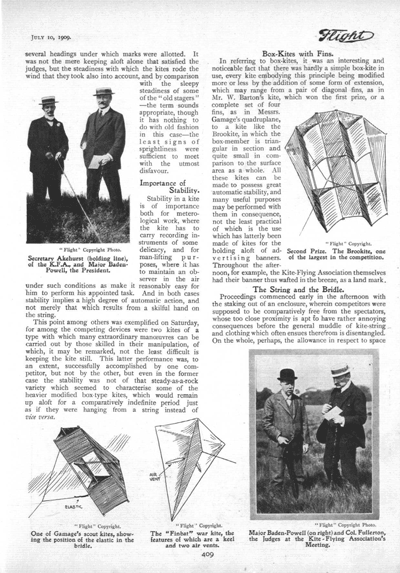 The Kite Flying Association back in the early 1900's held regular kite flying competitions on Wimbledon Common. Major Baden Powell, in the straw boater (on the right in both pictures), took a very active part as its President. The competition was apparently quiet fierce. 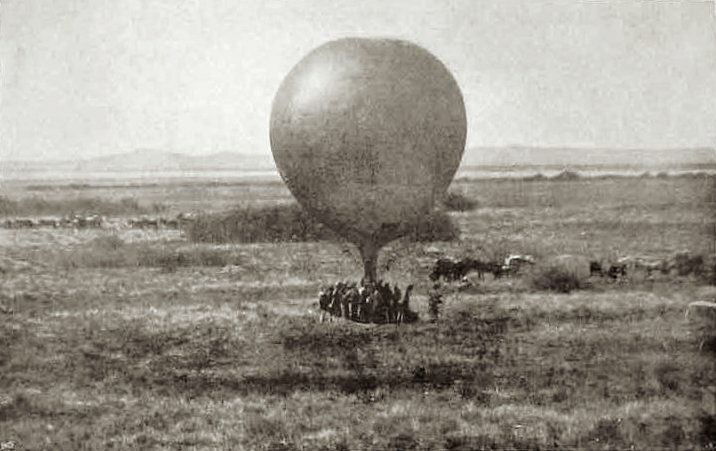 Magersfontein 1899, preparing the balloon for a reconnaisence flight. Major B.F.S. 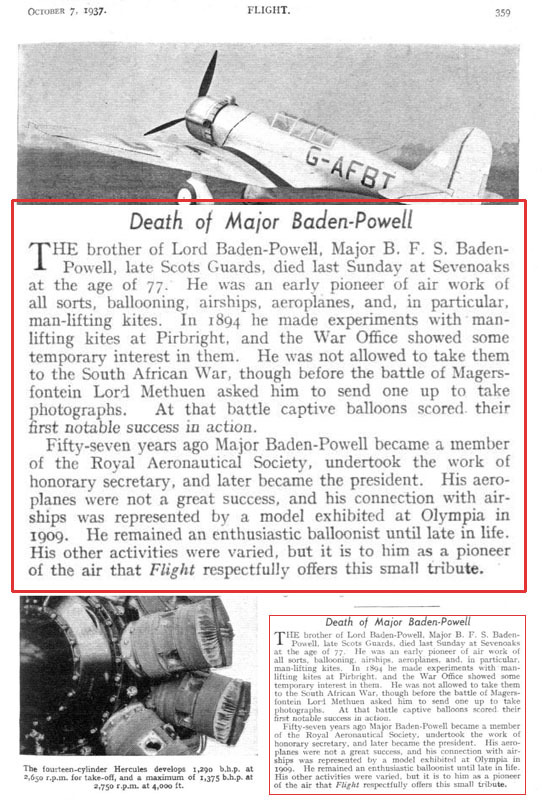 Baden Powell Obituary, from Flight Magazine, October 1937. Please note: the views and opinions expressed on this website are that of the Author unless stated otherwise. Please check with the relevant publication regarding the interpretation of the ANO & Rules of the Air, likewise any official communications from the CAA & NATS.